As an individual who has spent just about as many hours in a saddle on two wheels as on four, I know that bicycling is a dangerous from of transportation. I have biked across the country, biked in cities, biked to the office, biked on rural roads, biked at night(OK, you get the point, I am a biker), AND have been hit by cars while biking. thankfully, none of these accidents have been serious but biking near automobiles of any kind IS serious. Regardless of how safe a cyclist is, it doesn't matter if the person behind a 4000 lb. vehicle doesn't see you. 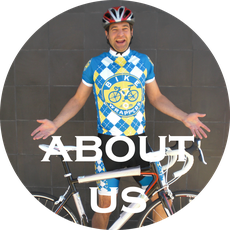 In 2008 alone there were over 52,000 bicycling accidents and that is only the amount of accidents actually reported! With more and more people commuting to work on their bikes(The Bicycle Institute of America has claimed that 4.9 million ride bikes to work) combined with more motorist on the road, the sheer number of accidents will continue to grow. While thinking about all of these factors in my head, while riding my bike, at night, and barely seeing fellow cyclists with their tiny bike reflectors and blinking lights, I had to ask the simple question, isn't there something better than this?. It turns out there wasn't and thus the BikeWrappers were born. I have the lights and small reflectors that everyone that bikes at night should have on their bike, but think there is a problem with that. They simply don't produce enough light for someone in a car to see you AND they can only be seen from limited directions.  BikeWrappers make you and a good portion of your bike frame highly reflective from EVERY angle that a car approaches you. not only are the BikeWrappers making you safer while biking at night, but the reversible/removable nature of them allows you to give you bike a designer feel to it during those bright sunny days when you don't need that reflective side out. and just like that a simple product like BikeWrappers was made to make you and the bike looking good AND much safer on the roads. On a more personal note, I am no stranger to going out on a limb to follow my aspirations... I have founded Finisher, which is race and event mobile search engine as well as additionally founded Breaking Away Apps, which is a daily mobile wallpaper app development company.